An Athens prosecutor has launched an inquiry into claims that four men, aged 20 to 24, arrested on Friday after a double bank robbery in northern Greece, were subsequently beaten in police custody. Two of the suspects were being sought by police over their alleged involvement in the anarchist Fire Cells Conspiracy group, which has claimed a number of bombings since it emerged in 2008. Concerns about the alleged abuse were raised after the police on Saturday released photos that showed telltale signs of digital editing to remove evidence of bruising. In the crudest case, the Photoshopping technique appears to have removed an object, possibly an officer’s arm, from around the neck and chest of one of the suspects. Promising an inquiry, the country’s public order minister, Nikos Dendias, admitted that the photos were altered, but said that this was to make the suspects recognisable to the public. He added that the men were injured during their arrest, a claim that has been flatly rejected by the some of the men, in statements relayed through their relatives. 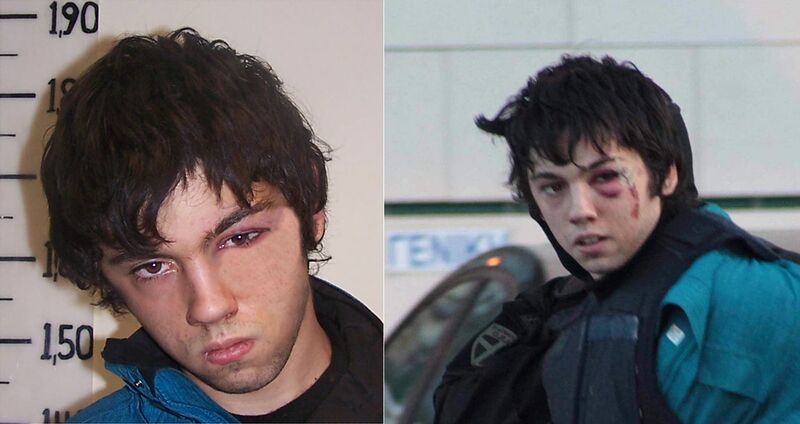 The youngest suspect, 20-year-old Nikos Romanos (photo), witnessed the shooting dead of a classmate, Alexis Grigoropoulos, 15, by police in December 2008 in an incident that sparked days of rioting in Athens. Romanos’s subsequent biography is symptomatic of a wider trend, according to Mary Bossi, professor for international security at the University of Piraeus. “Not all are pro-violence, but the pro-violence element is growing in strength and its list of targets is widening,” she said, adding that the youth wings of mainstream political parties, including those on the left, are no longer able to absorb “extremist tendencies”.